Still a little chilly, but it was sunny and nice, Yay!
. I really enjoyed the process and I hope to enjoy the results tomorrow!! Can't believe you haven't made pickles before, quite partial to them, but tummy not so happy.. Look lovely!! Yum! 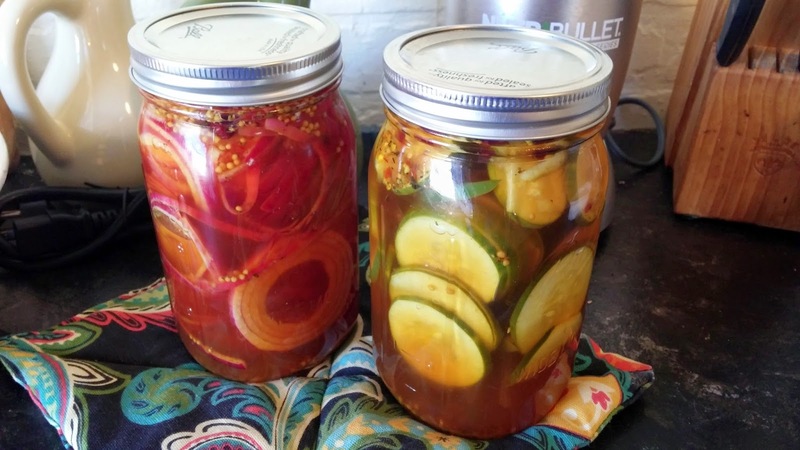 I wish I could eat pickles....I used to make pickled onions that would blow your socks off and sweet apple chutney. I have a basic pressure cooker but I don't use it as often as I ought..... enjoy your pickles!